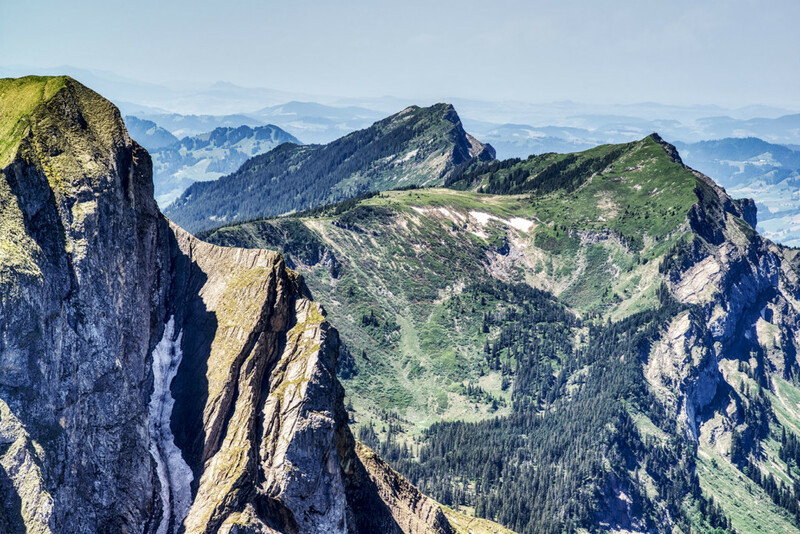 The picture shows the view from the Pilatus to the neighbor mountains. It was a memorable experience. We went uphill with the red rack railway, were exploring the summit with the dozens of hiking trails -and steps. There is an excellent restaurant with some original Swiss food. My wife Karin had even the luck to find an edelweiss. The magnificent view in all cardinal directions complements the excursion before you drive down with the red rack railway, what’s in itself is a little adventure.